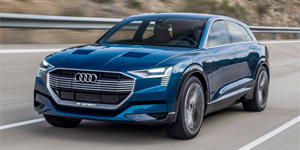 Upcoming from Audi: Audi CEO Rupert Stadler announced plans to bring three pure electric models to market by 2020, starting with the Q6 e-tron SUV in 2018. It will be followed by an electric compact car and later a mid-rage executive EV. Stadler also promised more plug-in hybrid models in the coming three to four years. The goal is that 25 to 30 percent of the carmaker’s vehicles sold could be electric by 2025. Extended Leaf range: The 2017 Nissan Leaf could already see the next battery upgrade and then come with 40 kWh. As with the last upgrade, the smaller (then 30 kWh) variant will still be available, while the 24 kWh version would be discontinued. Samsung investment confirmed: The Korean supplier has invested 449m dollars in Chinese automotive company BYD. The reason for the investment according to Automotive News is that Samsung did not make it onto the China-approved supplier list. BYD will use the funds to expand battery production, as well as for research and development for new-energy vehicles. New European strategy: The European Commission has published a strategy for low-emission mobility. The goal is “to make the most” of digital technologies and smart pricing, speed up the “fuelling” network for EVs and FCVs and therefore “remove obstacles” and push the acceleration of zero-emission transport. Buses in India: Indian component maker JBM and Solaris Bus & Coach have formed a joint venture for the development and sales of hybrid and electric buses. The first Polish-Indian electric bus models could already become available next year. Tangier EV factory: Chinese company Yangtse has announced plans to open an electric vehicle factory in Tangier, Morocco. Cars produced will be sold both locally and outside the country. Construction is to begin soon. EV and hybrid sales in China.